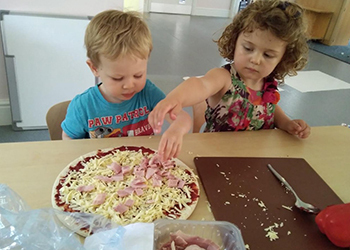 All of the daily meals your little ones receive at The Brambles Day Nursery are freshly cooked in the Brambles kitchen. There’s nothing better than good old fashioned home cooked food and you can rest assure that none of your children’s meals will be bought in. We are committed to providing your child with a balanced healthy diet with the freshest locally sourced ingredients we can find. 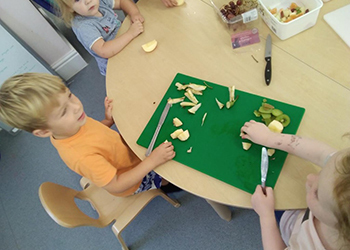 The children are offered a homemade nutritious and healthy balanced diet with the opportunity to try new foods through our 4 weekly menus. 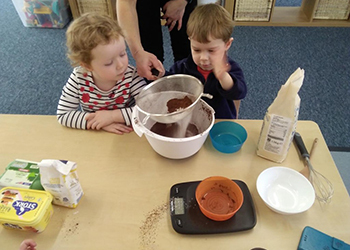 The nursery children will grow many of their own fruit and vegetables in the garden to take into the kitchen to be eaten at snack and meal times. We offer regular food theme days giving the children chance to try new foods from around the world and in celebration of religious festivals. Our meat is sourced from a local butcher and we use fresh and local produce wherever possible. Children have age appropriate meal portions and weaning babies are given a suitable variation (pureed or mashed). We cater for all dietary needs and requirements. Children will be offered a choice of dessert from the menu or fresh fruit. Fresh water is available throughout the day and full fat milk will be offered at snack time to the children aged 12 months and above.